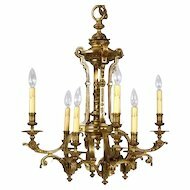 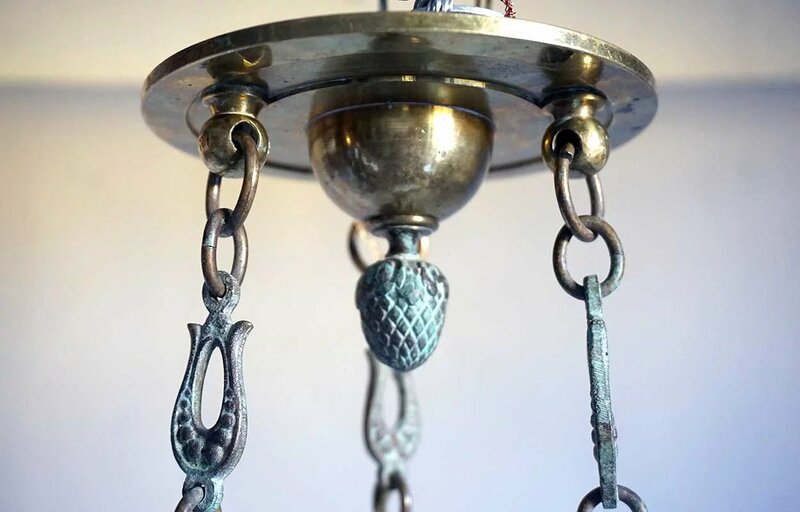 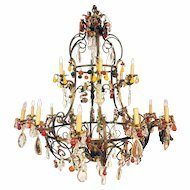 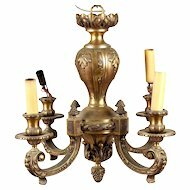 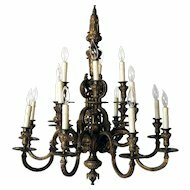 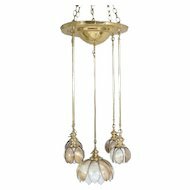 This diminutive, antique, three-light chandelier is fashioned in the neo-classic form of an oil light. 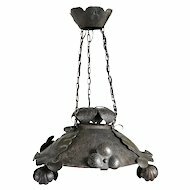 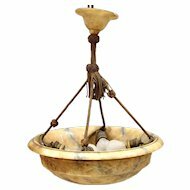 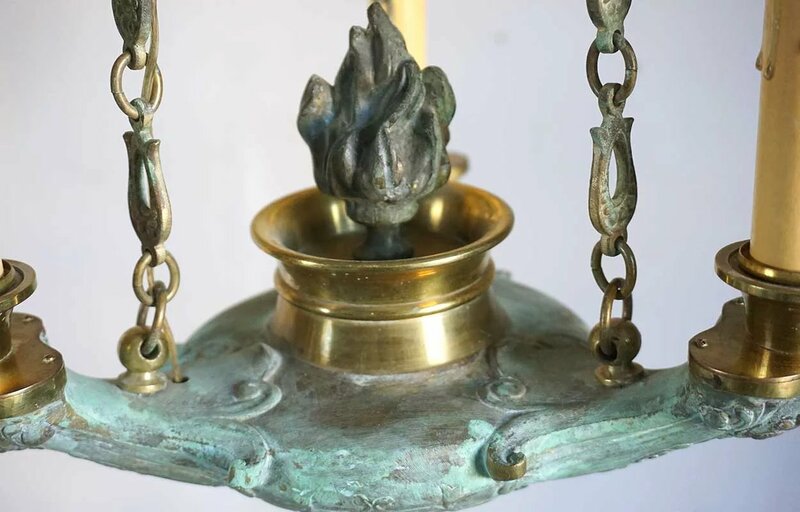 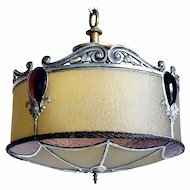 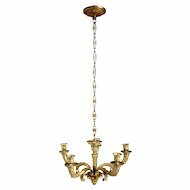 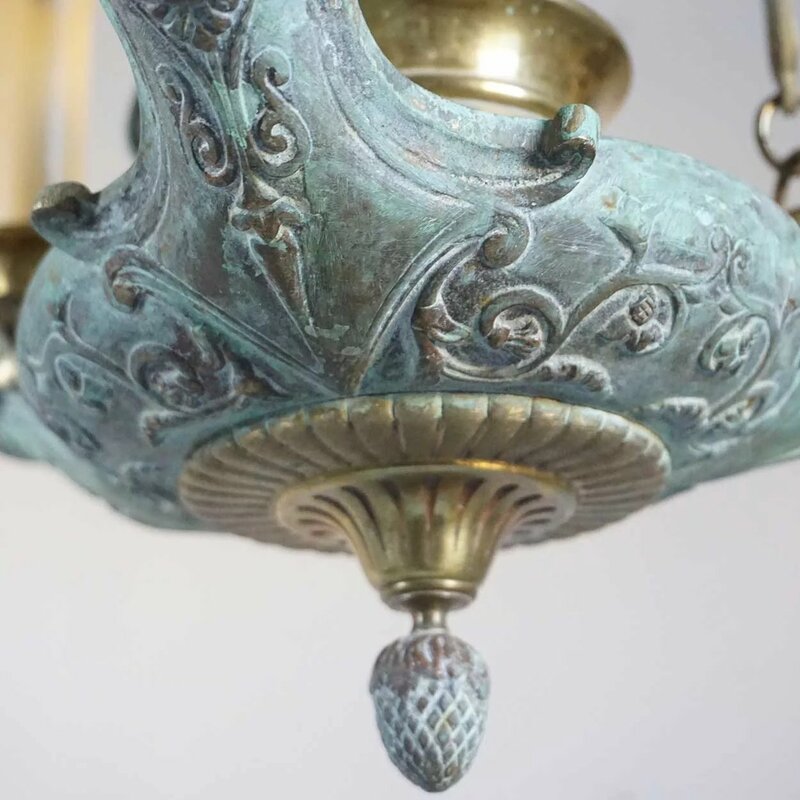 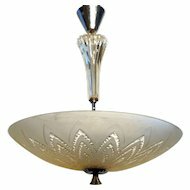 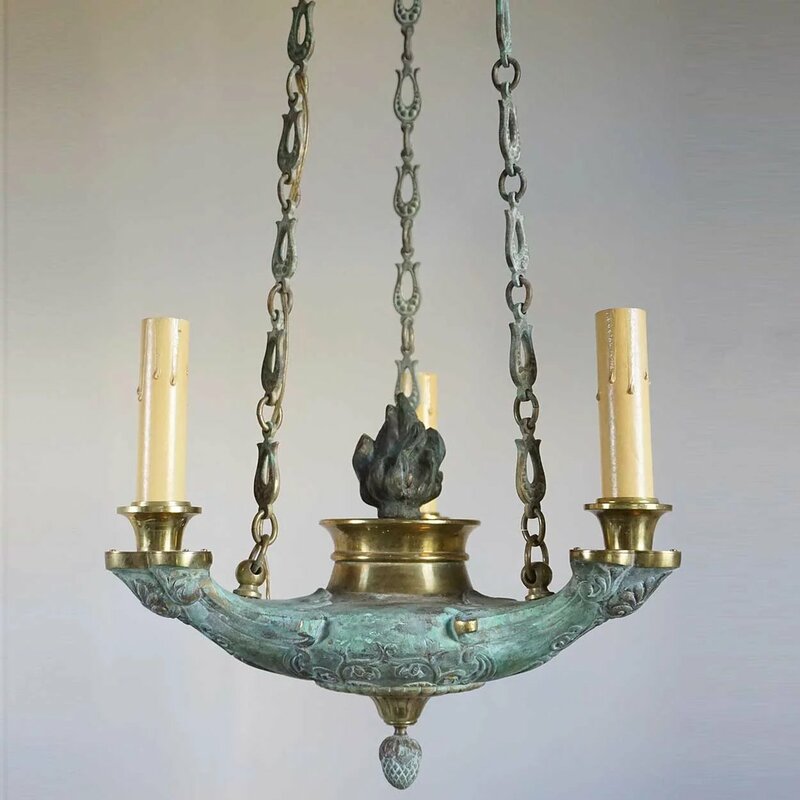 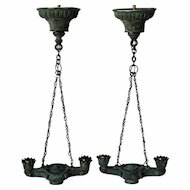 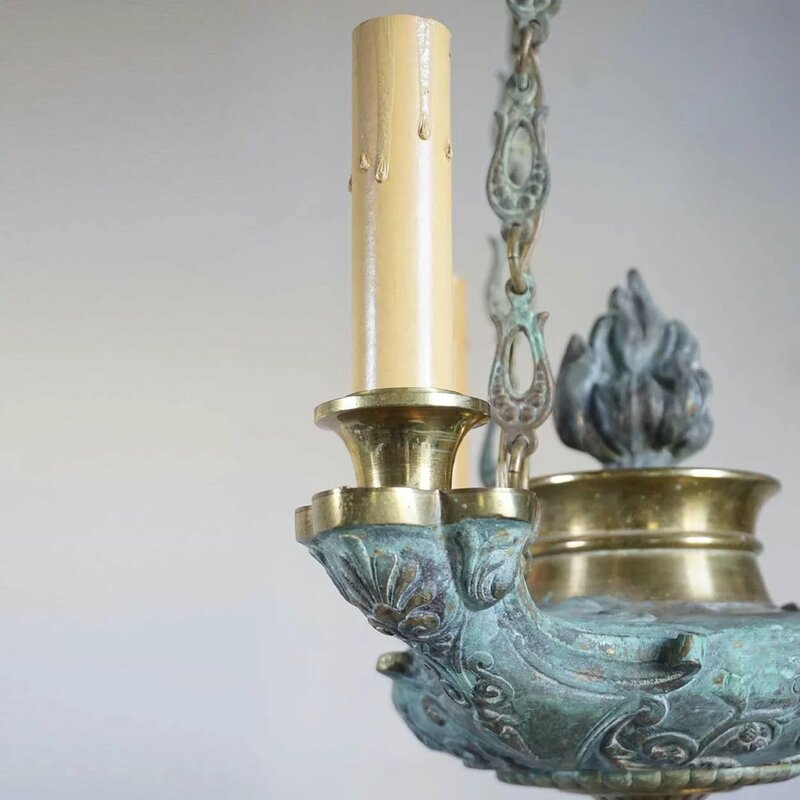 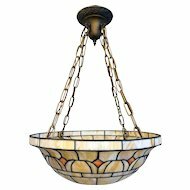 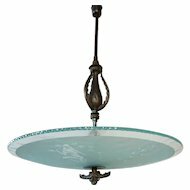 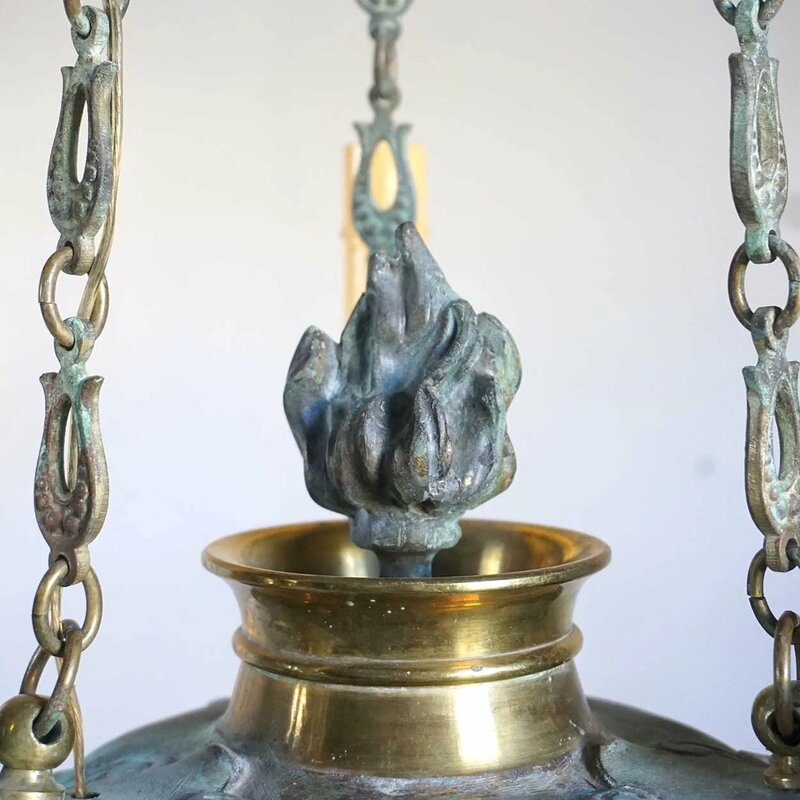 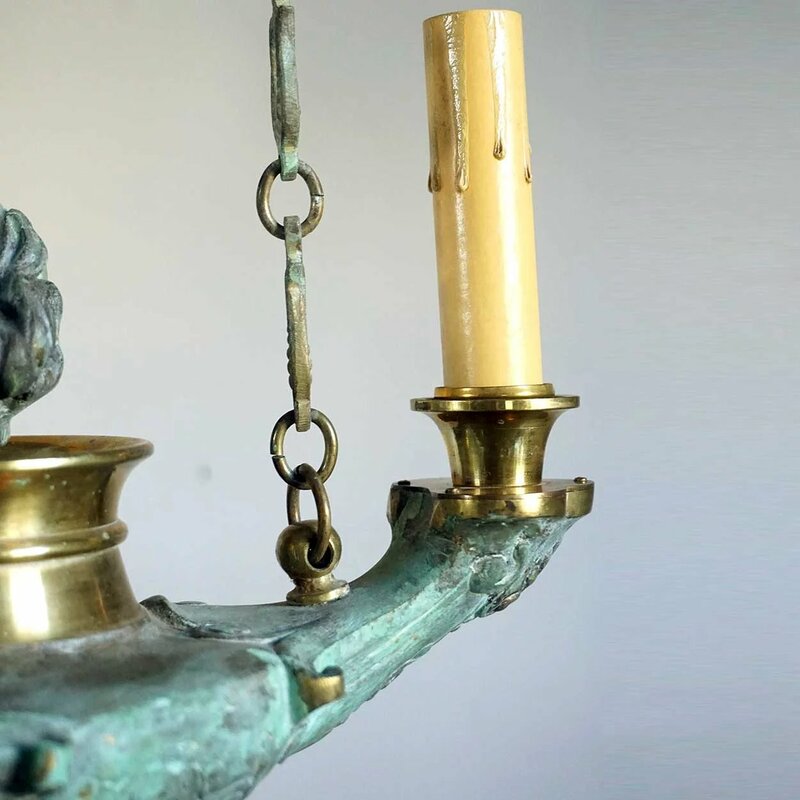 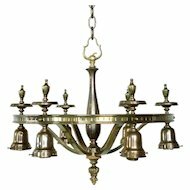 Crafted of brass, with a verdigris finish over the body, it features a center flame and acorn finials at the bottom and on the ceiling cap. 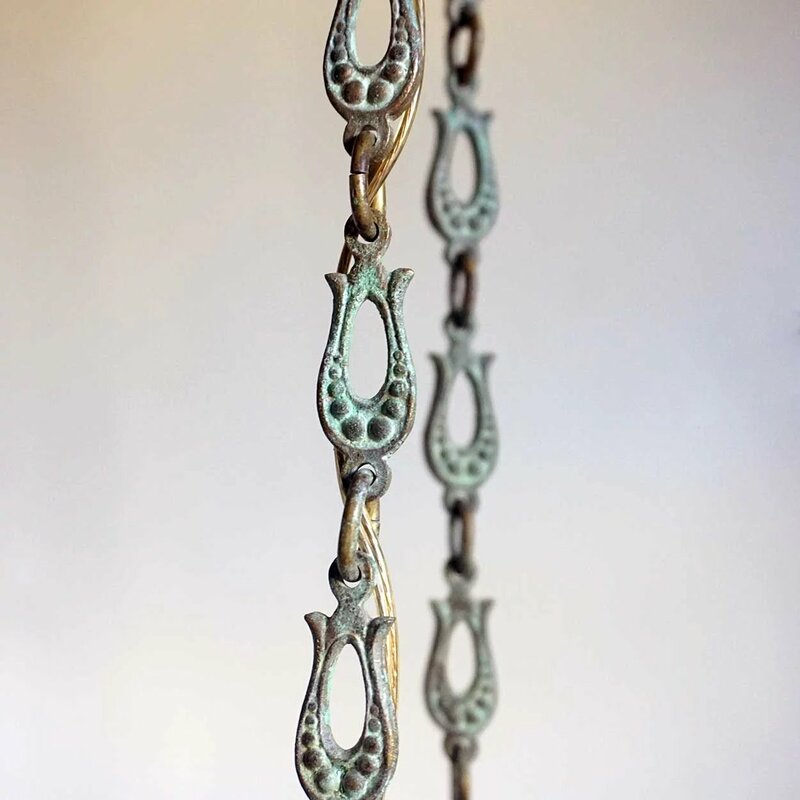 Notice the hand crafted, interesting chain linkage. 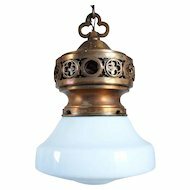 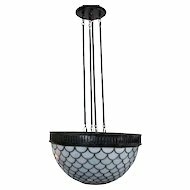 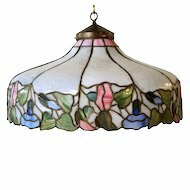 This would make a smart light for a powder room or small hallway. 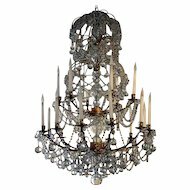 Width 11 Depth 11 Height 28 in.